I have been travelling to Cebu for a few times, but mostly within the highly urbanized city. For sure, you will see some of the city’s famous attractions like the Magellan’s Cross. However, I haven’t seen the other side of Cebu yet. On the southern side of Cebu, it’s where you experience Mother Nature at its finest. The place I’m going to talk about is no other than Oslob. My sister and her friends invited me to join them on a road trip to Oslob. Around 2 a.m., we took off from Bacolod City to Bais City in Negros Oriental Province for almost 6 hours. After that, we rode on the barge with our car for an hour to the southern part of Cebu. When we arrived there, we began exploring the wonders of nature of Oslob. Without further ado, here are some famous attractions to visit in Oslob. Also known as Butanding, watching and diving with them is one of Oslob’s amazing highlights. The real reason why most of the local and international tourists are visiting Oslob is whale watching. We’re not watching killer whales, sperm whales or so. In this place, you’re going to see beautiful whale sharks roaming around the sea. They’re quite sensitive if you intend to touch them. On the second day of our Oslob trip, we woke up early around 5 a.m because of our scheduled “meet-up” with the Butandings at 6 a.m. Before getting to the boat, our tour guide was conducting an orientation before facing the Butandings. My sister, friends and I were about to put sunblock on our body. However, we just realized that sunblock is not allowed when diving with the whale sharks due to its chemical content. For 30 minutes, you can watch them from your boat for 300 Php (Philippine Peso). If you want to dive and swim with them, you need to pay an additional P200 Php for that. Using a full face snorkel for scuba diving would give you a glimpse of seeing the Butanding while submerging to the water aside from normal swimming goggles or snorkel mask. The assigned boatman can take pictures for you while submerging to the sea. They’re trained to become professional Go Pro photographers in Oslob. There’s no charge if you ask them to take a picture of you under water. 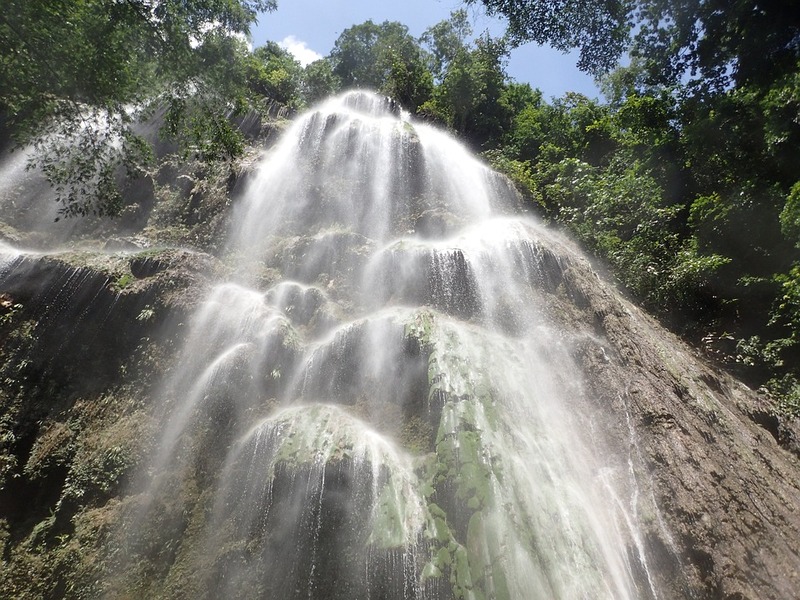 Another reason why my friends and I travelled to is that of the iconic Tumalog Falls. For us to get there, it’s either a walk or motorbike ride. As for my friends and me, we’ve decided to take a walk on the paved road from the highway going to the Tumalog falls. It’s a long way to get there unless you’re riding on a motorbike. There’s a gazebo where tourists can take a shower and change into their swimming gear. All I can say is that Tumalog Falls is breathtaking. 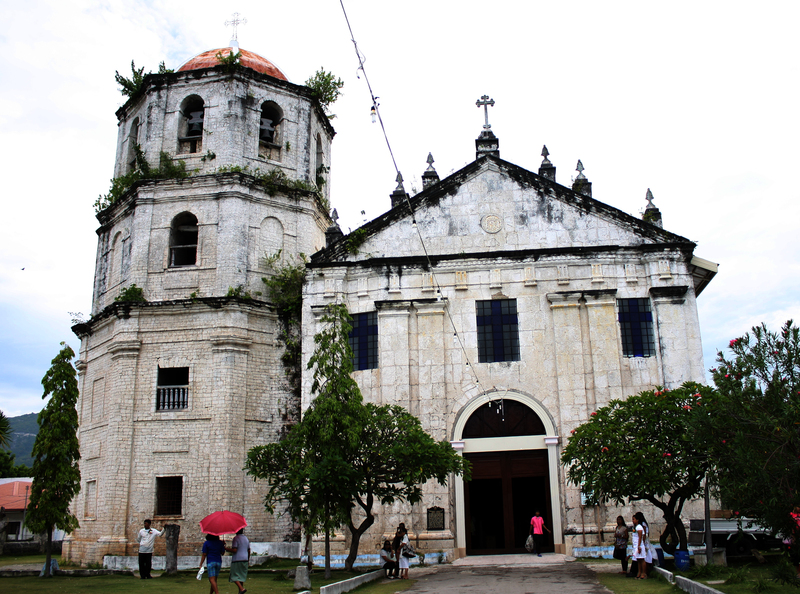 My friends told me that the Church of the Immaculate Conception is one of the famous attractions in Oslob. It is said to be the centrepiece and the main attraction of the Oslob Heritage Park. You can easily find the church at the front of the Cuartel. The church’s construction began in 1830 and completed 18 years later. In 1858, they successfully built the church’s bell tower. 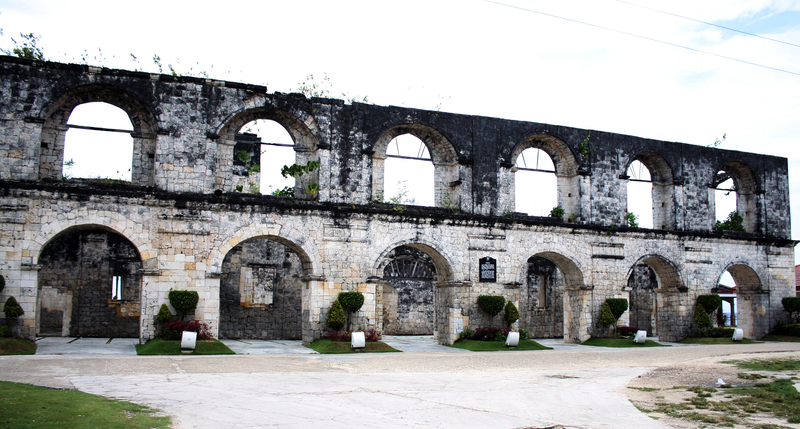 The Cuartel was our first stop on our entire 2-day trip to Oslob, Cebu. It is part of the Oslob Heritage Park. The Spaniards built the one-of-a-kind ancient unfinished structure as their barracks. The construction began in 1860, and it remained unfinished until today. At the back of the Cuartel, there’s a small museum. My friends and I did go inside the museum, which was small. Unfortunately, we didn’t take pictures of it. 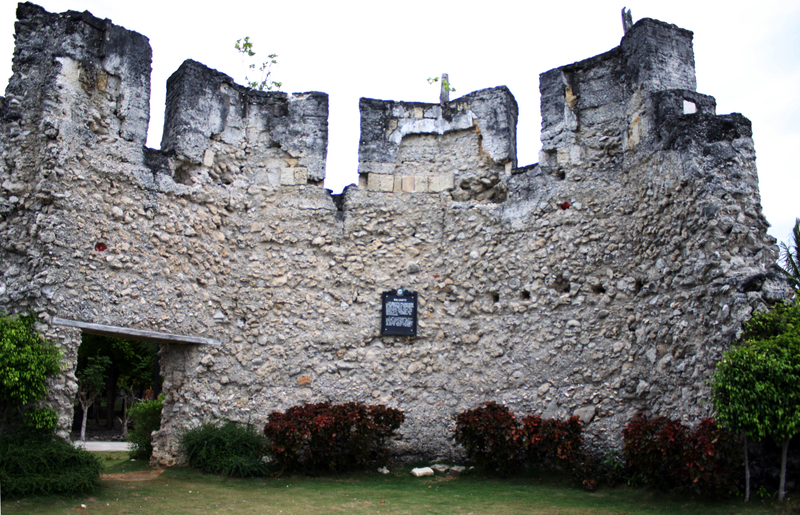 Another ancient structure that is part of the Oslob Heritage Park is no other than the Baluarte Ruins. The actual meaning of Baluarte in English is watch tower. It was built around 1788 by the Spaniards to observe the entire area against Moro invasion. I hope you have enjoyed reading my article regarding these five fun things to do in Oslob, Cebu. It’s one of the places that I won’t forget, and I would love to visit again if I get the chance. Jeff Caceres is a guy who loves to travel and adventure within the Philippines and the world. He also enjoys water sports and scuba diving. Travelling to the Philippines? Pin me for later!